View Poll Results: Which dash design to you like? 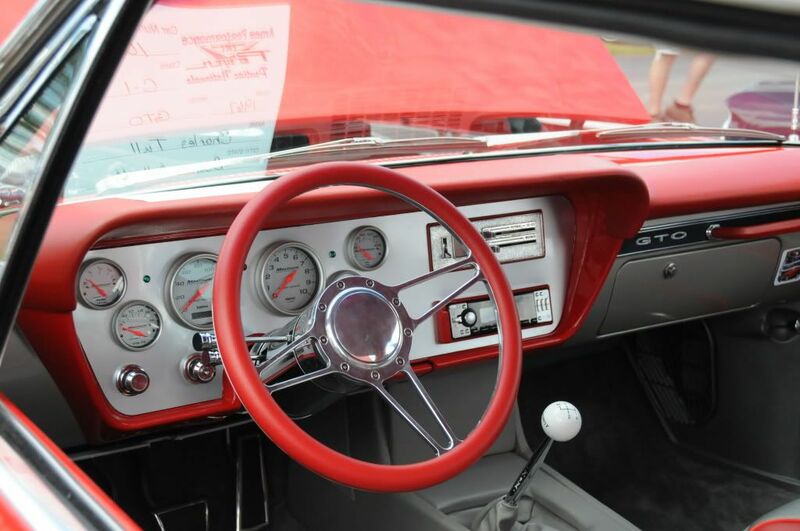 I'm working on making a custom dash using autometer gauges for my '66 GTO Vert restomod. I'm using 8 gauges (speedo, tach, volt, h20 temp, fuel level, oil pressure, oil temp and fuel pressure). I have .063" engine turned aluminum I'm making the face from, and will use "factory type" chrome knobs and chrome heater/fan controls. I was going to use a Custom Autosound USA630 vintage type radio in the normal radio mounting location, and then mount the remaining two gauges below the dash in a mounting pod. However, I can also use the readio opening to mount the remaining two gauges and then use a Secret Audio SS (w/RF remote) for the radio. Here are a couple images. One is with the exact layout retaining the radio, though the radio measurements will be different because of the radio size. The backing material will be different of course. Remember that the remaining 2 gauges will need to mount below the dash on the one with the radio. 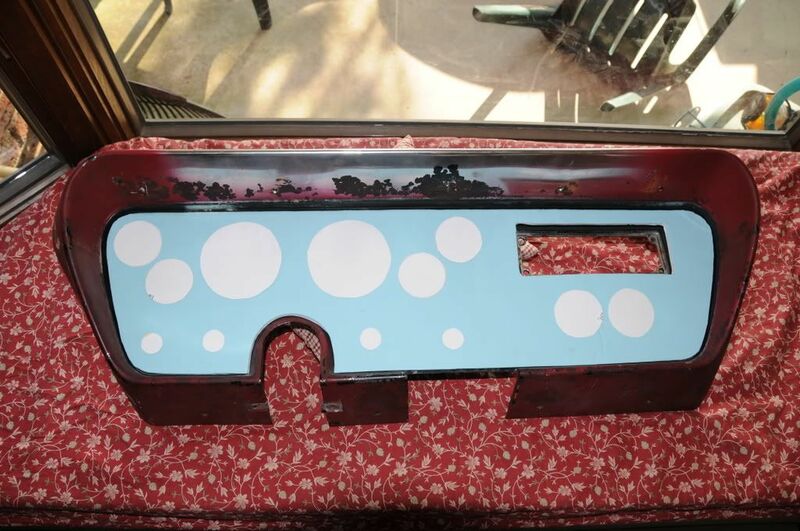 The other pic with the template shows blue where it's engined turn aluminum, and white where gauges and switches go. The opening is for the heater/fan controls go (chrome). Please let me know your opinions. I'm kind of leaning toward getting all the gauges in the dash right now.